If it is time to start searching Waukesha used car dealers for your next vehicle, come to Ewald Chevrolet Buick. We offer a great selection of used cars near Waukesha WI. As well as used trucks, minivans, and SUVs for sale at our dealership near Waukesha used car dealers. Ewald Chevrolet Buick wants it to be easy to find used cars in Waukesha WI. We make this to be possible all from the convenience of your home or smartphone because of our new and used car website. Here you can find a full list of Buicks for sale. You can even find the latest Buick models. You can sort either by make, as well as model, price, and more. Once you find the used cars in Waukesha WI that may meet your needs, come into our new and used car dealership near Waukesha. Take one or more used car out on a test drive. At Ewald near Waukesha used car dealers, we have a team of friendly and knowledgeable people. We are ready for any questions about our new and used cars in Waukesha WI that you may have. Here at Ewald near Waukesha used car dealers, we want you to drive away with a smile. When you leave Ewald near Waukesha used car dealers, you are sure to be driving away in the perfect used car for you. If it is Buicks for sale that strike your fancy, boy do we have the selection for you. From older Buicks for sale to Buicks latest models, we have the Buick you have been wanting. Like a Buick SUV for sale. Whether you want a Buick SUV for sale on the smaller side like the Buick Encore or something with 3rd-row seating like the Buick Enclave, we have the perfect one for you right here. 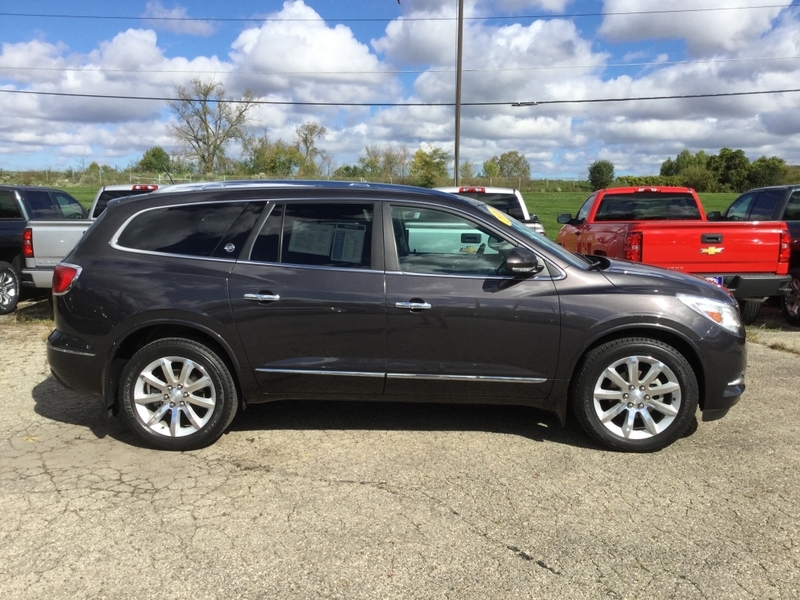 A Buick Enclave for sale comes with many features both inside and out. Like on the used 2016 Buick Enclave Premium. This Buick SUV for sale is loaded with incredible features. Including navigation and heated leather seats. This used Buick SUV for sale also comes with a leather-wrapped steering wheel. It also has steering wheel controls. Steering wheel controls allow you to change the radio station, adjust the volume, and more. No more taking your hands off the steering wheel of this Buick SUV for sale with this incredible feature. This used Buick SUV for sale also comes with Bluetooth for natural, hands-free calling. And let’s not forget to mention the 2nd-row captain's chairs. This offers easy access to the 3rd-row of seating. This used Buick for sale also comes with multi-zone climate control. Whether you like it hot or cold, you and your passengers can be comfortable. This used Buick for sale at Ewald near Waukesha car dealers has many other features waiting to be discovered by you. When it comes to Buick for sale and Buicks latest models of SUVs for sale, make the drive to Ewald. We look forward to working with you at Ewald Chevrolet Buick and want to find the right Buick for you. Check out our incredible inventory selection of used cars near Waukesha WI and Buick SUVs for sale today. You can find Ewald Chevrolet Buick located at 36833 E Wisconsin Ave Oconomowoc WI, 53066 to check them out in person. Or give us a call at (262) 226-2842 to schedule your Buick SUV test drive.